Liu, Hongshen, Dien Ngo, Mengguo Ren, Jincheng Du, and Seong H. Kim. “Effects of surface initial condition on aqueous corrosion of glass—A study with a model nuclear waste glass.” Journal of the American Ceramic Society (2018). Chae, Inseok, Chang Kyu Jeong, Zoubeida Ounaies, and Seong H. Kim. “A Review on Electromechanical Coupling Properties of Biomaterials.” ACS Applied Bio Materials (2018). Luo, Jiawei, William Grisales, Matthew Rabii, Carlo G. Pantano, and Seong H. Kim. “Differences in surface failure modes of soda lime silica glass under normal indentation versus tangential shear: A comparative study on Na+/K+‐ion exchange effects.” Journal of the American Ceramic Society(2018). Luo, Jiawei, Nicholas J. Smith, Carlo G. Pantano, and Seong H. Kim. “Complex refractive index of silica, silicate, borosilicate, and boroaluminosilicate glasses–Analysis of glass network vibration modes with specular-reflection IR spectroscopy.” Journal of Non-Crystalline Solids 494 (2018): 94-103. Jo, Jin-Oh, Quang Hung Trinh, Seong H. Kim, and Young Sun Mok. “Plasma-catalytic decomposition of nitrous oxide over γ-alumina-supported metal oxides.” Catalysis Today 310 (2018): 42-48. Sheth, Nisha, Dien Ngo, Joy Banerjee, Yuxing Zhou, Carlo G. Pantano, and Seong H. Kim. “Probing hydrogen-bonding interactions of water molecules adsorbed on silica, sodium calcium silicate, and calcium aluminosilicate glasses.” The Journal of Physical Chemistry C 122, no. 31 (2018): 17792-17801. Ngo, Dien, Hongshen Liu, Nisha Sheth, Raymond Lopez-Hallman, Nikolas J. Podraza, Marie Collin, Stéphane Gin, and Seong H. Kim. “Spectroscopic ellipsometry study of thickness and porosity of the alteration layer formed on international simple glass surface in aqueous corrosion conditions.” npj Materials Degradation 2, no. 1 (2018): 20. Luo, Jiawei, Stephen Bae, Mengxue Yuan, Erik Schneider, Michael T. Lanagan, Carlo G. Pantano, and Seong H. Kim. “Chemical structure and mechanical properties of soda lime silica glass surfaces treated by thermal poling in inert and reactive ambient gases.” Journal of the American Ceramic Society 101, no. 7 (2018): 2951-2964. Huang, Shixin, Mohamadamin Makarem, Sarah N. Kiemle, Yunzhen Zheng, Xin He, Dan Ye, Esther W. Gomez, Enrique D. Gomez, Daniel J. Cosgrove, and Seong H. Kim. “Investigating dehydration-induced physical strains of cellulose microfibrils in plant cell walls.” Carbohydrate Polymers (2018). Chen, Lei, Xin He, Hongshen Liu, Linmao Qian, and Seong H. Kim. “Water Adsorption on Hydrophilic and Hydrophobic Surfaces of Silicon.” The Journal of Physical Chemistry C 122, no. 21 (2018): 11385-11391. Frankel, Gerald S., John D. Vienna, Jie Lian, John R. Scully, Stephane Gin, Joseph V. Ryan, Jianwei Wang, Seong H. Kim, Wolfgang Windl, and Jincheng Du. “A comparative review of the aqueous corrosion of glasses, crystalline ceramics, and metals.” npj Materials Degradation 2, no. 1 (2018): 15. Khajeh, Arash, Xin He, Jejoon Yeon, Seong H. Kim, and Ashlie Martini. “Mechanochemical association reaction of interfacial molecules driven by shear.” Langmuir 34, no. 21 (2018): 5971-5977. Huang, Shixin, Mohamadamin Makarem, Sarah N. Kiemle, Hossein Hamedi, Moujhuri Sau, Daniel J. Cosgrove, and Seong H. Kim. 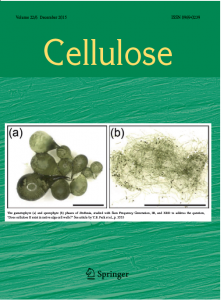 “Inhomogeneity of Cellulose Microfibril Assembly in Plant Cell Walls Revealed with Sum Frequency Generation Microscopy.” The Journal of Physical Chemistry B122, no. 19 (2018): 5006-5019. Chen, Lei, Jialin Wen, Peng Zhang, Bingjun Yu, Cheng Chen, Tianbao Ma, Xinchun Lu, Seong H. Kim, and Linmao Qian. “Nanomanufacturing of silicon surface with a single atomic layer precision via mechanochemical reactions.” Nature communications 9, no. 1 (2018): 1542. Kirchner, Katelyn A., Seong H. Kim, and John C. Mauro. “Statistical Mechanics of Topological Fluctuations in Glass-Forming Liquids.” arXiv preprint arXiv:1804.01627 (2018). He, Xin, and Seong H. Kim. “Surface Chemistry Dependence of Mechanochemical Reaction of Adsorbed Molecules — An Experimental Study on Tribopolymerization of α-Pinene on Metal, Metal Oxide, and Carbon Surfaces.” Langmuir 34.7 (2018): 2432-2440. Li, Guoxing, Qingquan Huang, Xin He, Yue Gao, Daiwei Wang, Seong H. Kim, and Donghai Wang. “Self-Formed Hybrid Interphase Layer on Lithium Metal for High-Performance Lithium–Sulfur Batteries.” ACS nano 12.2 (2018): 1500-1507. Amma, Shin‐ichi, Jiawei Luo, Seong H. Kim, and Carlo G. Pantano. “Effect of glass composition on the hardness of surface layers on aluminosilicate glasses formed through reaction with strong acid.” Journal of the American Ceramic Society 101, no. 2 (2018): 657-665. Banerjee, Joy, Vincent Bojan, Carlo G. Pantano, and Seong H. Kim. “Effect of heat treatment on the surface chemical structure of glass: Oxygen speciation from in situ XPS analysis.” Journal of the American Ceramic Society 101, no. 2 (2018): 644-656. Luo, Jiawei, Yuxing Zhou, Scott T. Milner, Carlo G. Pantano, and Seong H. Kim. “Molecular dynamics study of correlations between IR peak position and bond parameters of silica and silicate glasses: Effects of temperature and stress.” Journal of the American Ceramic Society 101, no. 1 (2018): 178-188. Makarem, Mohamadamin, Christopher M. Lee, Daisuke Sawada, Hugh M. O’Neill, and Seong H. Kim. “Distinguishing Surface Versus Bulk Hydroxyl Groups of Cellulose Nanocrystals using Vibrational Sum Frequency Generation Spectroscopy.” The journal of physical chemistry letters (2017). Chen, Lei, Chen Xiao, Xin He, Bingjun Yu, Seong H. Kim, and Linmao Qian. 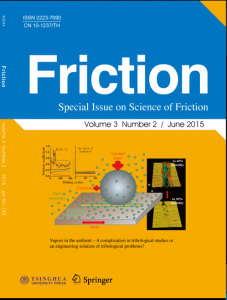 “Friction and Tribochemical Wear Behaviors of Native Oxide Layer on Silicon at Nanoscale.” Tribology Letters 65, no. 4 (2017): 139. Li, Guoxing, Yue Gao, Xin He, Qingquan Huang, Shuru Chen, Seong H. Kim, and Donghai Wang. “Organosulfide-plasticized solid-electrolyte interphase layer enables stable lithium metal anodes for long-cycle lithium-sulfur batteries.” Nature communications 8, no. 1 (2017): 850. Chen, Lei, Chen Xiao, Bingjun Yu, Seong H. Kim, and Linmao Qian. “What governs friction of silicon oxide in humid environment–contact area between solids, water meniscus around the contact, or water layer structure?.” Langmuir (2017). Sheth, Nisha, Jiawei Luo, Joy Banerjee, Carlo G. Pantano, and Seong H. Kim. “Characterization of surface structures of dealkalized soda lime silica glass using X-ray photoelectron, specular reflection infrared, attenuated total reflection infrared and sum frequency generation spectroscopies.” Journal of Non-Crystalline Solids (2017). Hong, Sung-Gil, Byoung Chan Kim, Hyon Bin Na, Jinwoo Lee, Jongkyu Youn, Seung-Wook Chung, Chang-Won Lee et al. “Single enzyme nanoparticles armored by a thin silicate network: Single enzyme caged nanoparticles.” Chemical Engineering Journal 322 (2017): 510-515. Chen, Xing, Christopher M. Lee, Hongfei Wang, Lasse Jensen, and Seong H. Kim. “Vibrational Sum-Frequency-Generation (SFG) Spectroscopy of Bulk Materials Consisting of SFGactive Nanocrystals: Experimental and Theoretical Study of Azimuth Angle and Polarization Dependences of SFG Spectral Features of Uniaxially-Aligned Cellulose Crystals.” The Journal of Physical Chemistry C (2017). Kafle, Kabindra, Yong Bum Park, Christopher M. Lee, Joshua J. Stapleton, Sarah N. Kiemle, Daniel J. Cosgrove, and Seong H. Kim. “Effects of mechanical stretching on average orientation of cellulose and pectin in onion epidermis cell wall: A polarized FT-IR study.” Cellulose 24, no. 8 (2017): 3145-3154. Goodell, Barry, Yuan Zhu, Seong Kim, Kabindra Kafle, Daniel Eastwood, Geoffrey Daniel, Jody Jellison et al. “Modification of the nanostructure of lignocellulose cell walls via a non-enzymatic lignocellulose deconstruction system in brown rot wood-decay fungi.” Biotechnology for biofuels 10, no. 1 (2017): 179. Ma, Ding, Christopher M. Lee, Yizhu Chen, Nikhil Mehta, Seong H. Kim, and Zhiwen Liu. “Vibrational sum frequency generation digital holography.” Applied Physics Letters 110, no. 25 (2017): 251601. Kim, Hee Jin, Christopher M. Lee, Kevin Dazen, Christopher D. Delhom, Yongliang Liu, James E. Rodgers, Alfred D. French, and Seong H. Kim. “Comparative physical and chemical analyses of cotton fibers from two near isogenic upland lines differing in fiber wall thickness.” Cellulose 24, no. 6 (2017): 2385-2401. Manimunda, Praveena, Ala Al-Azizi, Seong H. Kim, and Richard R. Chromik. “Shear-Induced Structural Changes and Origin of Ultralow Friction of Hydrogenated Diamond-like Carbon (DLC) in Dry Environment.” ACS Applied Materials & Interfaces 9, no. 19 (2017): 16704-16714. Makarem, Mohamadamin, Daisuke Sawada, Hugh M. O’Neill, Christopher M. Lee, Kabindra Kafle, Yong Bum Park, Ashutosh Mittal, and Seong H. Kim. 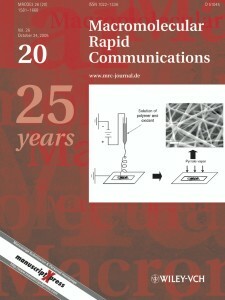 “Dependence of Sum Frequency Generation (SFG) Spectral Features on the Mesoscale Arrangement of SFG-Active Crystalline Domains Interspersed in SFG-Inactive Matrix: A Case Study with Cellulose in Uniaxially Aligned Control Samples and Alkali-Treated Secondary Cell Walls of Plants.” The Journal of Physical Chemistry C 121, no. 18 (2017): 10249-10257. He, Hongtu, Jiaxin Yu, Linmao Qian, Carlo G. Pantano, and Seong H. Kim. “Enhanced tribological properties of barium boroaluminosilicate glass by thermal poling.” Wear 376 (2017): 337-342. Amma, Shin‐ichi, Jiawei Luo, Seong H. Kim, and Carlo G. Pantano. “Effects of fictive temperature on the leaching of soda lime silica glass surfaces.” Journal of the American Ceramic Society 100, no. 4 (2017): 1424-1431. Chae, Inseok, Saad Ahmed, Hassene Ben Atitallah, Jiawei Luo, Qing Wang, Zoubeida Ounaies, and Seong H. Kim. “Vibrational Sum Frequency Generation (SFG) Analysis of Ferroelectric Response of PVDF-Based Copolymer and Terpolymer.” Macromolecules 50, no. 7 (2017): 2838-2844. He, Xin, and Seong H. Kim. “Mechanochemistry of Physisorbed Molecules at Tribological Interfaces: Molecular Structure Dependence of Tribochemical Polymerization.” Langmuir 33, no. 11 (2017): 2717-2724. Norris, Joanna H., Xingxing Li, Shixin Huang, Allison van de Meene, Mai L. Tran, Erin Killeavy, Arielle M. Chaves et al. “Functional specialization of cellulose synthase isoforms in a moss shows parallels with seed plants.” Plant Physiology (2017): pp-00885. Yeon, Jejoon, Xin He, Ashlie Martini, and Seong H. Kim. “Mechanochemistry at solid surfaces: Polymerization of adsorbed molecules by mechanical shear at tribological interfaces.” ACS applied materials & interfaces 9, no. 3 (2017): 3142-3148. Designed By InkHive. © 2019 Seong Kim's Group. All Rights Reserved.